While the government dithers, privately funded projects are stepping up the search for looming disaster. The Chelyabinsk meteor blazed brighter than the sun as it streaked over Siberia on Feb. 15, 2013. If I were about to be struck by lightning, I’d want to know. If an earthquake were going to shake my house tomorrow, or in 10 years, I sure would appreciate an early warning. Residents of Chelyabinsk, Siberia, likely felt that way last Feb. 15, when a roughly 15-meter-wide meteor exploded above the Ural Mountains, shattering windows across about 200,000 square meters. More than a thousand people were injured, mostly from glass cuts. Dashboard-camera video of the white-hot rock streaking through the sky, replayed repeatedly on TV and online, boldly illustrated the threat asteroids pose. The footage also highlighted how little we’ve done about it. Just a few hours of advance notice would have made a huge difference in Chelyabinsk, but no observatory on Earth (or beyond) is capable of such a feat — even though the necessary technology is readily available. John Tonry, an astronomer at the University of Hawaii’s Institute for Astronomy, is working furiously to implement that technology with the Asteroid Terrestrial-impact Last Alert System, or ATLAS. When complete in 2015, the system will be sensitive enough to spot Chelyabinsk-scale asteroids about 24 hours before they strike. For larger objects, the kind that can lead to mass casualties, ATLAS could provide warning of up to a month. The budget is just $5 million. “The cost of funding ATLAS is essentially one week of a typical space-mission development,” as Tonry puts it. Yet he and his supporters had to work hard to get even that much. The struggle to build ATLAS is part of a broader disconnect between the bold talk and the mild action regarding asteroids. The United States has spent less on asteroid detection over the past 15 years than the production budget of the 1998 asteroid movie Armageddon. In response to the Chelyabinsk incident, Congress recently held a series of hearings and boosted NASA’s Near Earth Object Program budget to $20 million a year — a smidge over 0.1 percent of the agency’s total funding. Despite meager public resources, asteroid science has seen impressive advances over the past few years. The latest findings are good news for people who like bad news: more rocks out there worth worrying about. Translating those raw numbers into meaningful risk estimates is not straightforward, which is one of the reasons politicians find it easy to set aside asteroid funding in favor of more concrete hazards like earthquakes or terrorism. Extrapolating from the latest research, Tunguska-size asteroids seem to strike Earth, on average, about every couple of centuries. For more than a decade, the Catalina Sky Survey at the University of Arizona has been tracking and tagging potentially hazardous asteroids. The Pan-STARRS telescope system in Hawaii is now speeding up the process. Two to three times a month, it scans the entire night sky, looking for anything that moves or changes — a powerful tool for finding small asteroids. Like almost all asteroid-related projects, Pan-STARRS has seen its share of funding drama. In this case, the project was born from Air Force money directed its way by late-U.S. Sen. Daniel Inouye of Hawaii. With an injection of $3 million from that anonymous benefactor, Pan-STARRS began installing its second telescope this past spring. The expanded system will devote twice as much time to asteroid detection, instantly catapulting it into first place as the most productive site for finding any space rock with our name on it. But Pan-STARRS is something of a stopgap effort that still will not produce the desired master map of all the potential city-killer asteroids out there. The real advance will come from Sentinel, a telescope that will conduct a thorough asteroid census from space after it launches in 2017 or 2018. The centerpiece of the B612 Foundation, Sentinel is a big-budget test case of the ability of private organizations to step up and do the science that government is unable to support. Rather than trying to invent everything from scratch, B612 will make heavy use of hardware developed for earlier NASA space telescope missions. “Something like 80 percent of what we’re dealing with in Sentinel is Kepler, 15 percent Spitzer, 5 percent new, higher-performance infrared sensors,” Schweickart says. By focusing its R&D money on the one area that truly demands innovation, B612 aims to run Sentinel much more cheaply than NASA could, about $450 million in all. That is an ambitious budget for a private organization, and B612’s goals are correspondingly grand. Over Sentinel’s 6½ year mission, it will complete NASA’s mandate to find 90 percent of the near-Earth asteroids larger than 140 meters wide. Sentinel should also find “40 to 50 percent of the Tunguska-size objects — the city killers,” Schweickart says. Current searches find about 1,000 of those a year. Sentinel should raise that number to something like 100,000. Sentinel is hardly the final word, however. Getting 50 percent of the city killers leaves plenty behind, and even though it should find hundreds of thousands of Chelyabinsk-scale asteroids, its launch is still years away. Tonry’s $5 million ATLAS remains important because it can provide early warning for the more frequent, smaller impacts — the ones that could be handled with local evacuation or with simple “duck and cover” precautions. So ATLAS could have spotted the Chelyabinsk meteor and avoided all those injuries, right? I put the question to Tonry, and am shaken by his reply: “No way, because it came in from the direction of the sun.” The project will find only about 20 percent of Chelyabinsk-size asteroids because it does not see the Southern Hemisphere, cannot watch during the day and cannot see through cloudy skies. Tonry suggests building a set of six ATLAS systems, which together could catch more like 70 percent. Schweickart goes further, arguing that replica facilities might cost just $1 million each, putting them within reach of academic astronomy departments. The telescopes could then be knit together into a global early warning impact system. 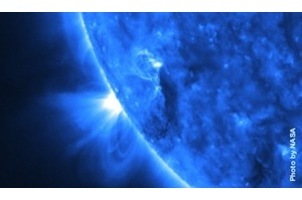 They would also be valuable for researching other astronomy topics. But even a great early warning system does not deal with the fundamental threat from asteroids, especially the big ones. Fortunately, we have another option. Asteroid impacts are unique among all natural hazards because we know, in principle, how to prevent them. That will be the subject of next month’s column. Can Humans Live in Space Without Going Crazy?